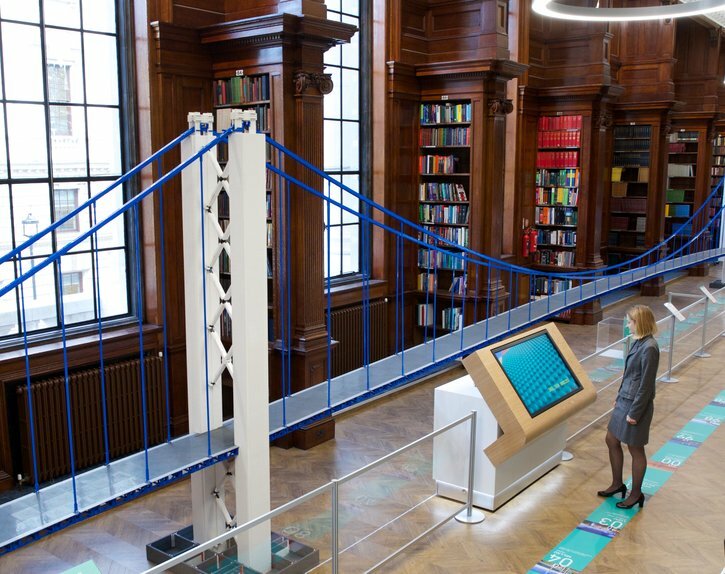 The Institution of Civil Engineers has opened its doors to ”Bridge Engineering - a window into the world of civil engineering”, the first of a series of exhibitions to be held in their new Infrastructure Learning Hub at One Great George Street. VINCI Construction UK is a founding partner of the Learning Hub, which offers the built environment community a place to tell the story of how they are shaping the world and driving progress in order to promote the industry and inspire people to join. The exhibition caters for all ages, with its centrepiece being the World’s longest LEGO bridge. Other content has been supplied by the founding partners to highlight how bridges connect communities to benefit everyone. We are showcasing an interactive presentation tool, which enables the user to navigate around a high definition photorealistic 3D modelled environment in real time. The model represents our design proposals for Taylor Woodrow’s M4 Corridor around Newport Early Contractor Involvement contract. The project includes a 2.5km bridge across the River Usk and Newport Docks, with a 440m main span cable-stayed bridge. The tool aided communications at the scheme’s public exhibitions, by enabling people to type in their postcodes to truly understand the works from their perspective. The exhibition has received a fantastic response so-far, achieving coverage in the Times, the Londonist listings website and numerous trade articles, as well as a 10-minute live recording that Reuters did on 04 November for their Facebook page which got almost 12,000 views. Still to come is a Sky News interview with the ICE’s outgoing President, Sir John Armitt, on the future of infrastructure which is set to air on 21 November.